WHEN DISASTERS STRIKE, CALL DALLASWHITE. When disasters strike, your world can get turned upside down in an instant. That’s when DALLASWHITE steps in to make your world right again. 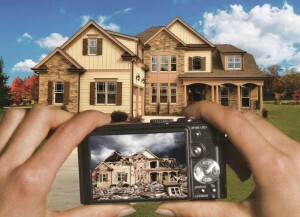 DALLASWHITE Property Restoration is a national construction company specializing in catastrophe solutions. We’re a licensed contractor and complete catastrophe solutions provider. Our professional team is proficient in the latest technologies in disaster recovery and property restoration. From natural disasters to unforeseen accidents, our technicians adhere to the highest standards. We specialize in residential, commercial and industrial properties. Our team is constantly improving with the latest skills and certifications in restoration to provide top craftsmanship on every job. 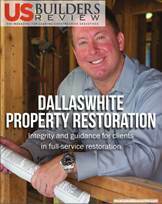 The team at DALLASWHITE has a passion for serving others and restoring lives. 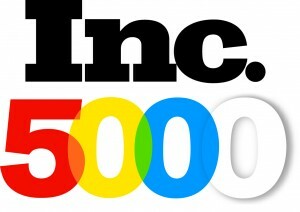 It is our goal to make a difference and positively impact the individuals we help. We strive to exceed expectations. In addition, we are constantly measuring our performance to ensure customers receive the best in quality service and support. Contact us today for your emergency response needs at 1-800-821-8941. When disaster strikes, our catastrophe team immediately mobilizes. We work diligently to mitigate the damage to your property. We understand that property damage can be both disruptive and cause safety issues to your home or business. Each day that goes by without mitigating damage can result in further damage.This is why we offer fast response service to all calls and claims. Our certified team of technicians are available 24/7 to assist with your restoration needs. We pride ourselves in quality workmanship and superior client service. With over 25 years of experience in restoration, you can take comfort in knowing every aspect of your recovery process will be professionally handled by our dedicated staff. We will get through this together. We are here to lend a helping hand and we will be here for you every step of the way. No matter what your construction needs, DALLASWHITE has you covered. DALLASWHITE, providing emergency and catastrophe solutions nationwide. With over 25 years of experience in the industry, you can take comfort in knowing every aspect of your project will be professionally managed by our expert team. We will work with you through every phase of your project to ensure that we construct your vision in quality structures. expectations. They are professionals who gave me outstanding service! homeowner, this is what matters the most. I love my beautiful home! Eric Von Behren, Project Manager - Rubenstein’s Contract Carpet, LLC. “Just sending a sincere thank you for the recent restoration of my home. Everyone from Mike Palmer to Charles Genter and all the crew, Randy and “Eagle Eye” Junior and others did a great job. I had a very sad incident with the issue of not only my home, but at the time my sister was ill and had passed away. Mike and Charles worked around this issue”.